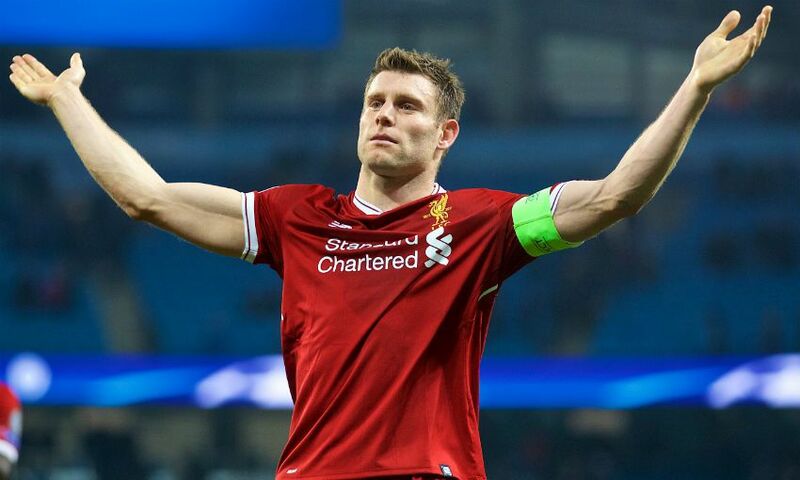 A collective effort to push higher up the pitch in the second half enabled Liverpool to come from behind to beat Manchester City, James Milner believes. The Reds secured their place in the last four of the Champions League by defeating Pep Guardiola’s side 5-1 on aggregate, with Tuesday’s 2-1 victory at Etihad Stadium coming after a 3-0 win in the quarter-final first leg last week. Gabriel Jesus ignited City’s hopes of a fightback with a goal inside the opening two minutes, and the hosts then proceeded to pile the pressure on throughout the first half as they desperately sought to further chip away at Liverpool’s aggregate advantage. A more aggressive away team emerged for the second half, though, and goals from Mohamed Salah and Roberto Firmino duly turned the game on its head and rubber-stamped the Reds’ spot in Friday’s draw for the semi-finals. Post-match, Milner, who captained the Reds in the absence of the suspended Jordan Henderson, explained that his teammates knew they needed to be more proactive after the break following a testing first half. “We obviously wanted to improve,” the No.7 told BT Sport about what was said in the away dressing room at the interval. “We didn’t get high enough, didn’t get the pressure on them and that’s as a team, everyone together, so I thought we did that, we got about them a bit more second half. “We kept the ball slightly better and were a bit more composed at times, but we defended well again and that’s the key and what you’re always going to have to do against these sort of teams. “It was [a nervy first half]. They’re a good team, they’re always going to put you under pressure, we knew that. Milner went on to insist that there are plenty of lessons to take on board from the two legs against City, despite the resounding way in which Liverpool dispatched the Premier League leaders. The midfielder continued: “We still have to improve and we have to learn from the tie, but I think everyone knows how good Man City are so to beat them over both games is a good confidence builder for us and shows we’re a good team.